Nick Jonas and Priyanka Chopra have confirmed they are engaged after just a few months together. 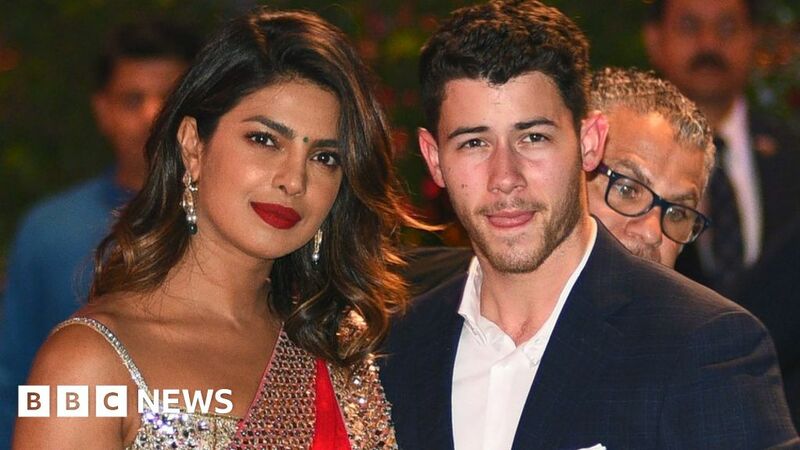 The Texan singer, formerly part of the Jonas Brothers, and the Bollywood superstar held a private engagement ceremony in Mumbai on Saturday. Both wore traditional Indian clothes. The pair’s engagement has been rumoured for about three weeks but they had not confirmed it until now. No date has yet been announced for the wedding. The couple shared identical photos from the ceremony on their respective Instagram pages, with Jonas calling Chopra the “future Mrs Jonas”. The engagement party – called a roka – is a chance for the couple to exchange gifts and makes the union of their families public. Their engagement is one of a rash of recent quick celebrity engagements. Earlier this year, singer Ariana Grande and comedian Pete Davidson decided after a few weeks of dating that they would get married, and last month singer Justin Bieber got engaged to a former flame, model Hailey Baldwin, who he got back together with very recently. Chopra won the Miss World pageant in 2000 and went on to make more than 50 films in India, alongside superstars like Salman Khan, Shah Rukh Khan and Amitabh Bachchan, becoming one of Bollywood’s highest-paid actresses, with many awards and accolades. Time magazine named her as one of the 100 most influential people in the world two years ago, and last year Forbes magazine included her in a list of the world’s 100 most powerful women. She broke in to acting in the US with a role in the TV series Quantico and film roles in Ventilator, Baywatch and A Kid like Jake. And she was a guest of Meghan Markle in the wedding of 2018. Jonas was part of a band with his brothers Joe and Kevin and got a big following on the Disney Channel through films like Camp Rock. He has since gone solo, with hits including Levels, Jealous and Chains and was a mentor with Demi Lovato on the X Factor. At 25, he is a decade younger than Chopra. He is said to have proposed to her in London in June, after reportedly closing down a jewellery shop to buy her an expensive engagement ring.